Whether seniors should be required to give up the keys has always been a contentious balance. On the one hand, it is important to maintain the safety of the roads, especially as physical skills, reflexes, and cognitive abilities decline in age. On the other, driving is an important expression of autonomy and allows seniors to continue to be self-reliant and engaged. A new meta-analysis from the Journal of the American Geriatrics Society has added to the dilemma with findings of numerous health declines associated with seniors having to step away from the steering wheel. A meta-analysis is like a study of studies. By combining and comparing findings, larger subject pools and broader relationships can be found that might otherwise have gone unnoticed. The analysis in question looked at a total of 16 prior studies on the effects of driving cessation on individuals aged 55 and over. The researchers found a strong relationship between giving up the wheel and marked decline in physical, social, and cognitive functions. 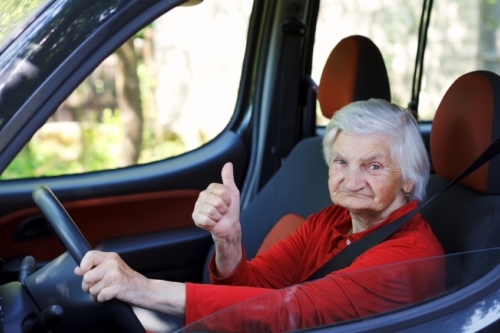 Seniors who stopped driving also showed the greatest risk of needing admission to nursing home facilities and had higher mortality rates in general. In terms of mental health, giving up driving almost doubles the risk of depression in older citizens. The relationship, however, is unlikely to be simple cause-and-effect. Instead, the connection could be seen as part of a larger vicious cycle. As worsening health affects vision, memory, judgment, and physical ability, people lose the ability to take care of themselves in the way that they used to and must give up driving. This loss of mobility then furthers feelings of isolation and depression while making the individual less active, contributing to even further decline. That being said, previous stats from the AAA Foundation for Traffic Safety reveal how key driving years are between the ages of 60 and 64. As one ages, their vision and ability to make quick judgements can begin to deteriorate, which can affect driving ability. Adults over the age of 85 have a four-times higher chance of dying in a car accident than their younger peers between the ages of 16-20. Although it is only a stereotype that all older drivers are hazardous on the road, the fact is that age does often present itself with reduced reactions, sight, or may have other health conditions that affect one’s ability to drive safely. Due to the benefits seniors get from driving, it is important to ensure a proper balance is struck. It is possible, for instance, to avoid rush-hour or nighttime driving as a way to keep the keys but also reduce the risk of an accident. Chihuri, S., et al., “Driving Cessation and Health Outcomes in Older Adults,” Journal of the American Geriatrics Society, 2016; doi: https://aaafoundation.org/driving-cessation-health-outcomes-older-adults/.